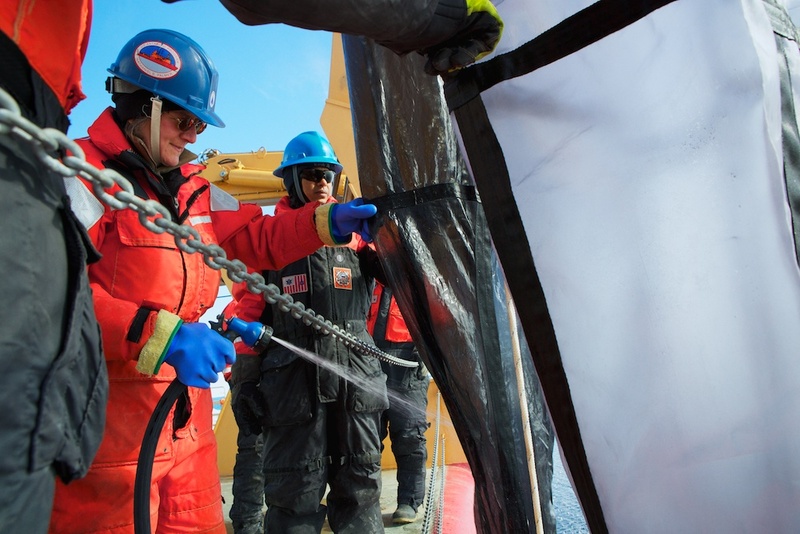 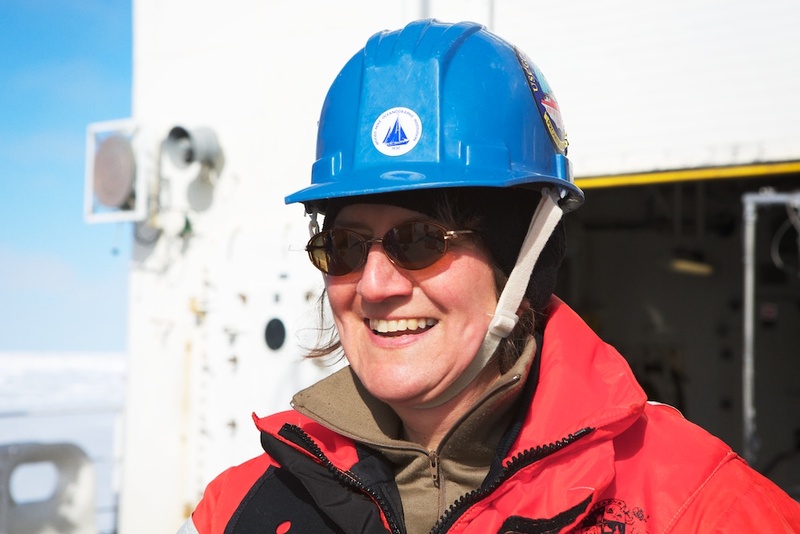 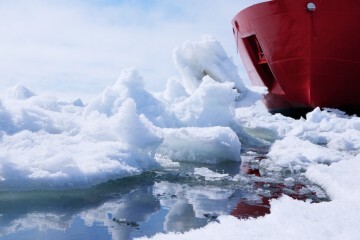 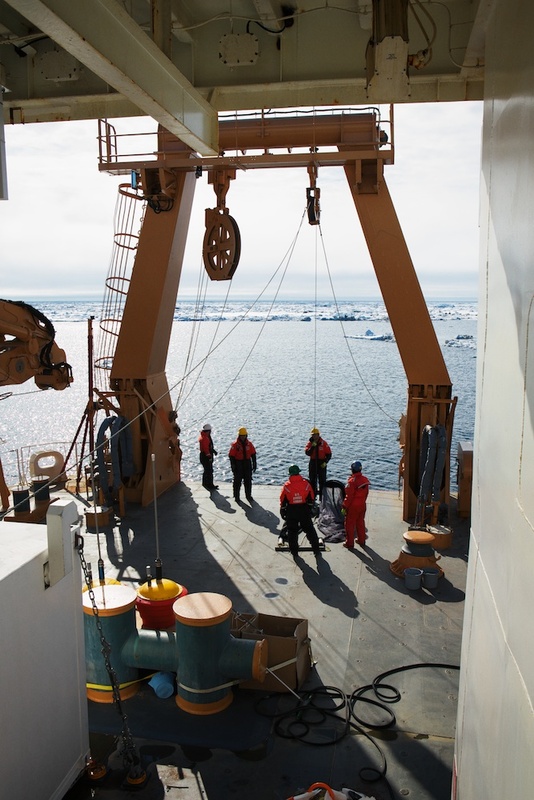 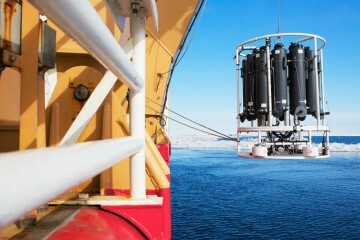 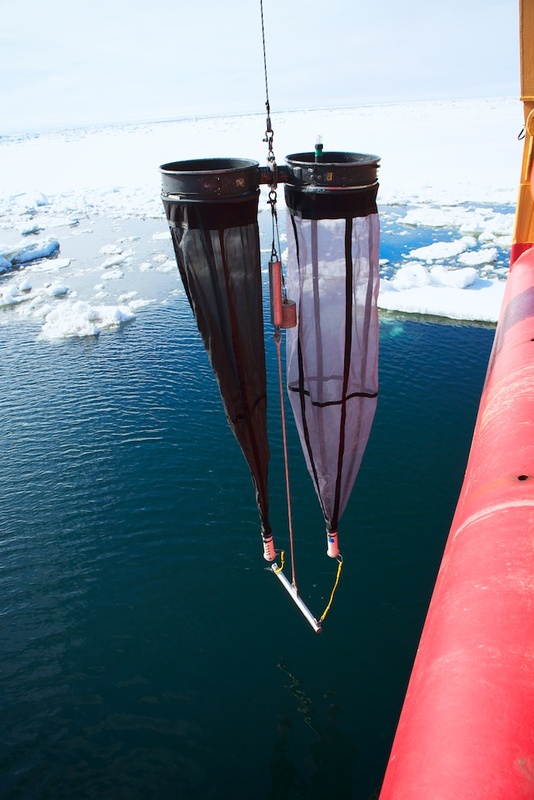 WHOI scientist Carin Ashjian is hard at work studying zooplankton populations as an indicator of water currents and plant distribution in the Chukchi Sea. 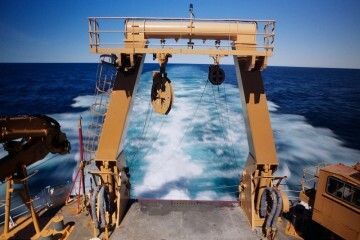 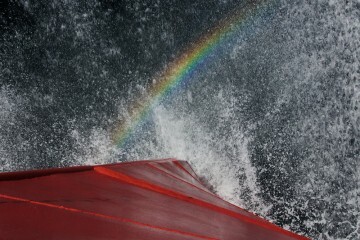 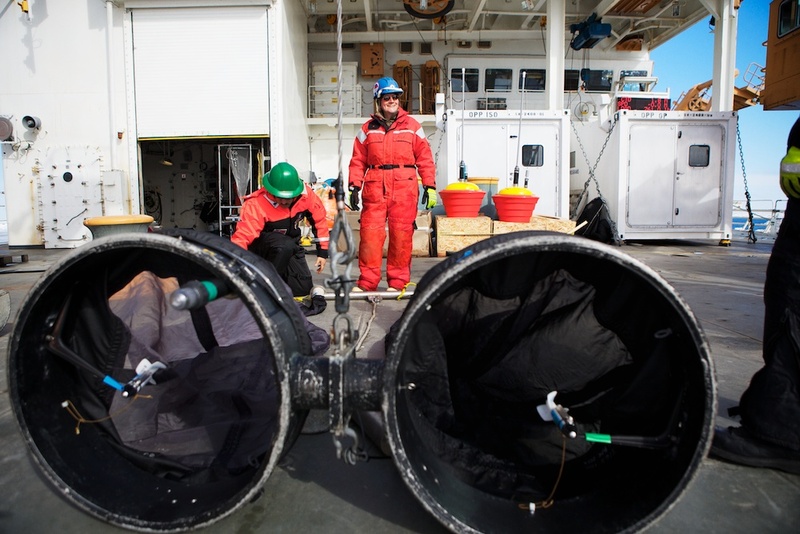 Carin uses an instrument called a bongo paired zooplankton net to collect her samples. 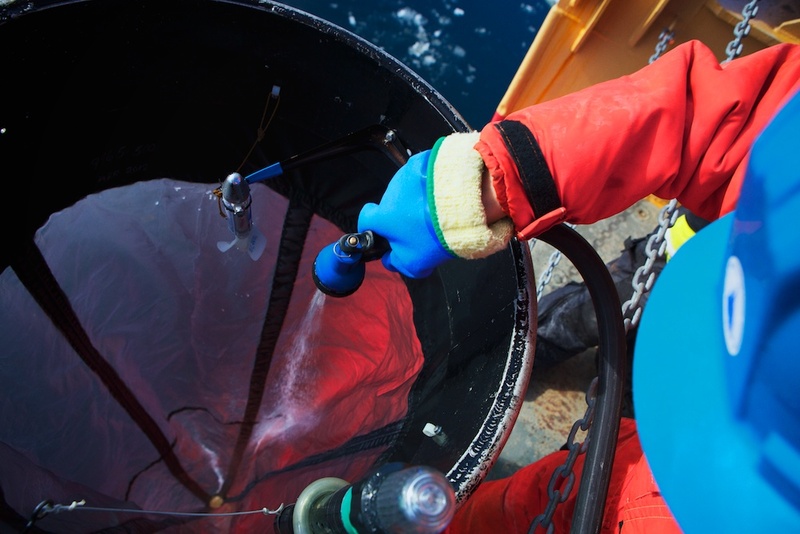 The bongo net consists of two nets, one with a coarser weave to collect larger specimens and one with a finer weave to capture small ones. 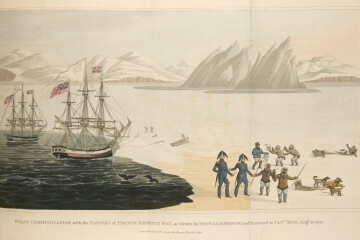 First the nets are lowered from the Healy’s stern using a winch. 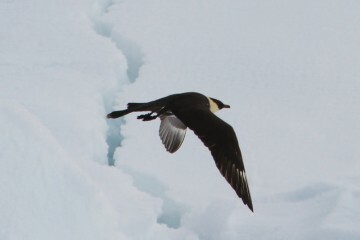 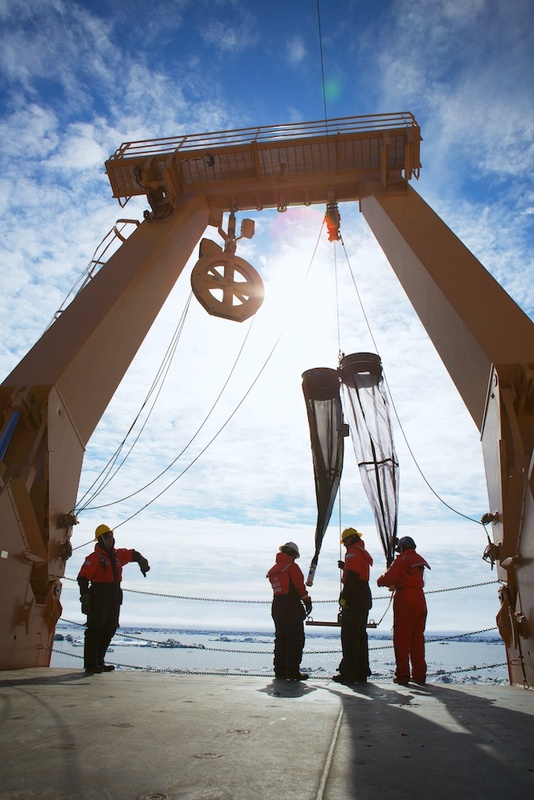 The nets are woven so that they capture nothing on the way down, but as the seawater passes through them on their way back to the surface, they collect thousands of specimens. 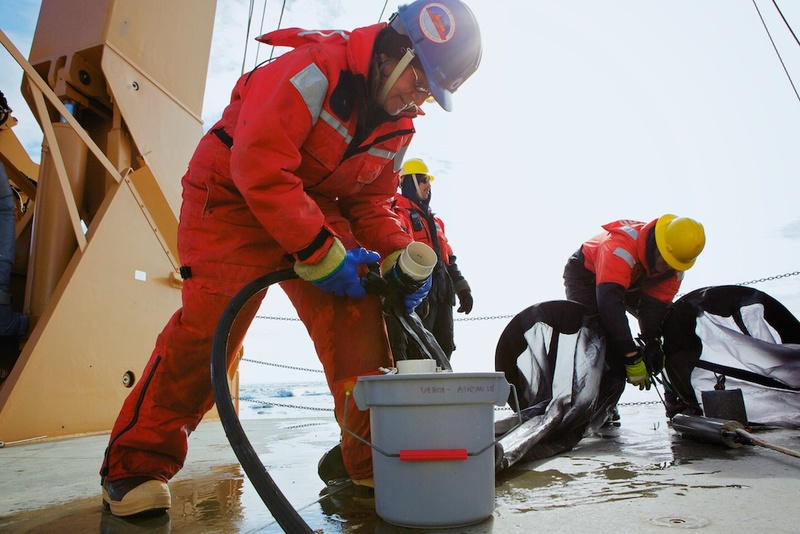 When the nets resurface and the crew pulls them in Carin hoses the net walls to insure that all of the plankton are collected into a bucket. 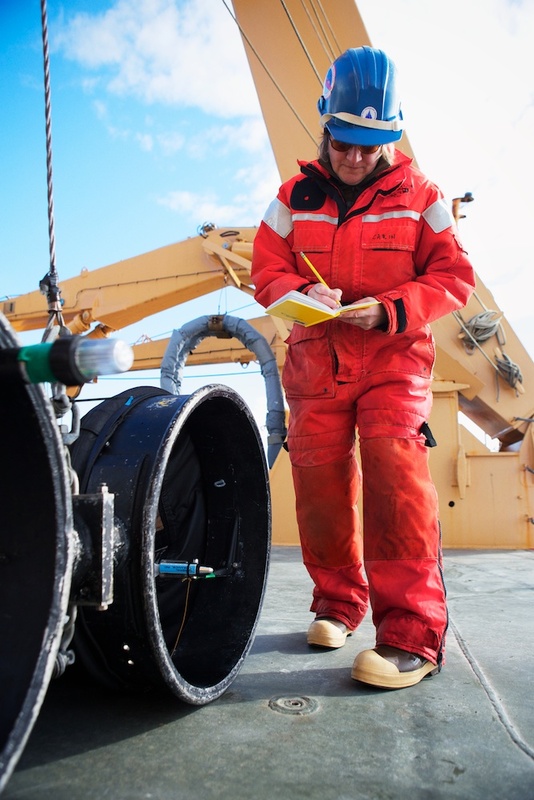 Finally she brings them in to the Healy’s lab for inspection. 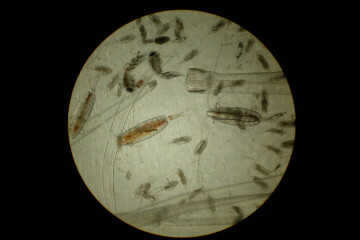 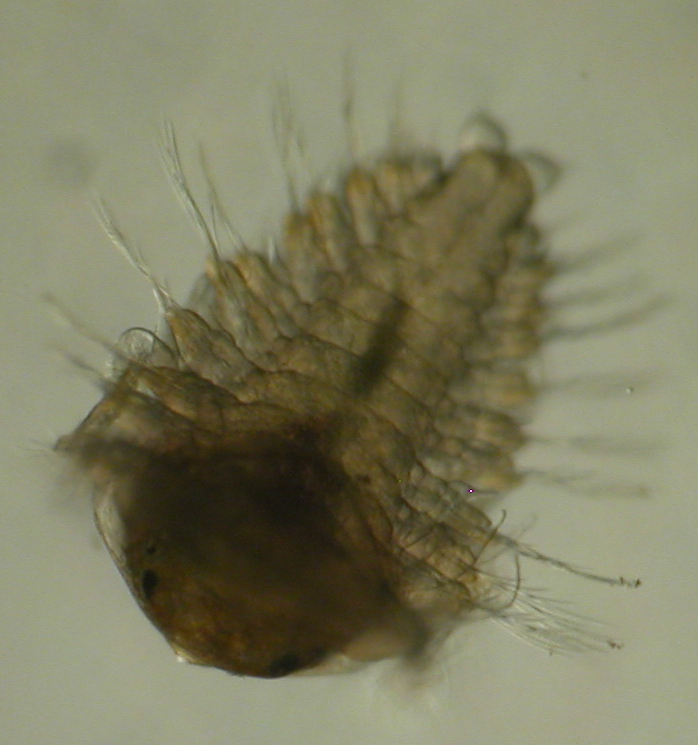 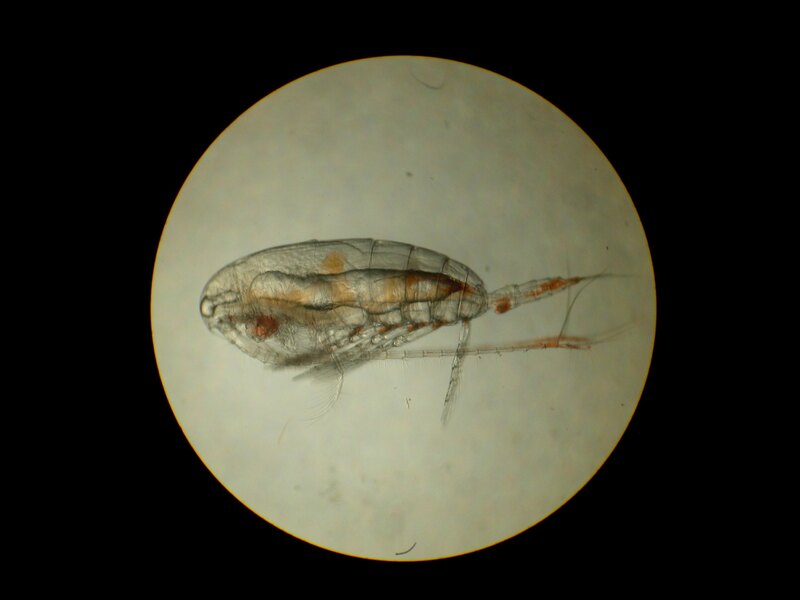 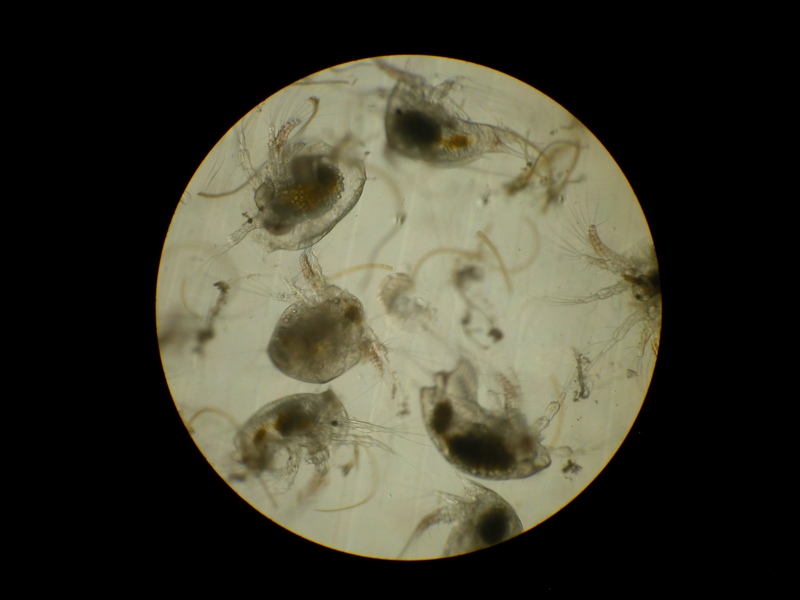 Some of the most common zooplankton Carin nets include copepods, barnacle larvae, arrow worms, and benthic worm larvae.